System Studies and Simulation International (S3I) is a wholly owned subsidiary of S3 and was established in 2014. S3I’s primary focus is OCONUS-based aviation training and technical assistance programs, including aviation maintenance, in support of Host Nation requirements. S3I/S3 personnel have trained over 5,000 US and Foreign Military aircrew members during the past 15 years including pilots from more than 35 Partner Nations. We have logged over 400,000 instructional flight hours, primarily in advanced fixed wing and rotary wing military aircraft and simulators. Mobile Training Teams constitute a large portion of our aviation training and technical assistance experience. S3I/S3 have worked as either the prime or a subcontractor on each of the US Army Aviation’s modern fleets (AH-64E, UH-60M, UH-72A, and CH-47F) New Equipment Training Teams (NETT). Seasoned Program Managers with significant expeditionary experience using battle-tested management processes under our ISO 9001:2008/AS9100C compliant quality management system enable rapid, worldwide deployment of exceptional aviation training and technical assistance support teams. When required, we can offer a total training package that offers CONUS based training, including range operations if required, followed by OCONUS oversight and follow-up training. John Pack is the President of S3 International, a wholly owned subsidiary of parent company, System Studies & Simulation, Inc. (S3). He has responsibility for locating, developing, winning, and managing business operations outside the United States. S3I’s focus is to provide training, logistics, advisory and assist technical services, simulation support, and law enforcement assistance to Partner Nations militaries and other security agencies. S3I’s current operations emphasize comprehensive rotary and fixed wing aviation training and maintenance support to its customers. John has worked for S3 since 2005 in several different capacities, serving as the corporate leader for Business Development since July 2010. 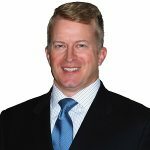 John has supported S3 as a Program Manager at Fort Hood, TX, Director of the Security Operations Directorate, and Senior Vice President of the Training and System Support (TSS) Business Unit. John is a retired Army officer, having served in key command and staff positions that included aviation battalion and brigade command, Legislative Liaison for the Secretary of the Army, Chief of Staff of the 2nd Infantry Division, Deputy Chief of Staff of the United States Southern Command (USSOUTHCOM), and Executive Assistant to the Combatant Commander, USSOUTHCOM. Rich Chenault served a 27 year career as an Army Aviator and Standardization Officer. 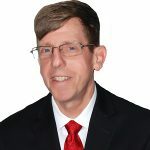 Rich has extensive attack helicopter operational experience as well as being an expert on institutional flight training. He completed combat tours in Afghanistan and Iraq, where he flew AH-64 helicopters. Rich is currently a Senior Program Manager with S3 International. He is responsible for managing aviation contracts that include rated and non-rated crewmember training, maintenance training, and maintenance. Mr. Chenault received a B.S. in Public Management from Austin Peay State University. 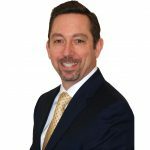 Chad Lemond is the Director of International Business Development for S3 International. He served for over 26 years in the U.S. Army as an Armor Officer and Foreign Area Officer holding various leadership positions in the tactical, operational and strategic levels. His overseas experience includes assignments in Korea, Italy, France, Kuwait and Austria in various security assistance and diplomatic positions. Lemond has a M.S. in International Relations from the Libera Università Internazionale degli Studi Sociali (LUISS) Guido Carli, Rome, Italy, a M.A. in National Security Affairs from the Naval Postgraduate School, and a B.S. in Physical Geography from the United States Military Academy. As S3I‘s lead for business expansion, Lemond’s duties include identifying and developing capture activities for new work in the Middle East, Europe, Africa, Latin America, and the Far East. 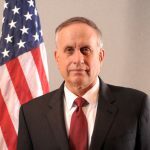 He is also responsible for developing strategic relationships with key US partner companies and representational non-governmental organizations (NGO’s) and industries in key international trade regions; networking with US security assistance representatives posted to OCONUS assignments; and engaging appropriate Partner Nation Government officials to advance specific customer-contractor agreements that support approved Foreign Military Sales and Direct Contract Sales. Lemond also leads most S3I proposal efforts and is fiscally and legally responsible to ensure all S3I operations comply with current US export laws and the International Traffic in Arms Regulations (ITAR). Bill Rodgers served 24 years as a U.S. Army Aviator, Maintenance Test Pilot, and Maintenance Examiner. He has extensive assault helicopter operational experience and specialized in rotary wing aviation maintenance and new equipment fielding and training during his military career. Rodgers completed combat tours in Afghanistan and Iraq, where he flew UH-60 utility helicopters. Rodgers was also selected to represent the U.S. Army to the Australian military as an expert in aviation maintenance and is a graduate of the Royal Australian Air Force Safety Officer Course. As a Program Manager with S3 International (S3I), Rodgers is responsible for managing OCONUS aviation contracts that include rated and non-rated crewmember training, maintenance training, and maintenance. He received a B.A. in Criminology from Eastern Washington University.